The dogs listed on this page are not part of our foster-care program. They are listed as a courtesy to other shelters, rescue groups, and private owners. Hazel is estimated to be 2 years old and is about 50 pounds. She appears to a a Golden Retreiver mix. She loves attention, other dogs and cats, children and treats. She is very friendly to all of the people, dogs, and cats that she comes in contact with. She is house trained, but does not stay in a crate. Her only bad habit is jumping on the bed when told not to. She can sit and lay down on command. She is spayed and up to date on shots. 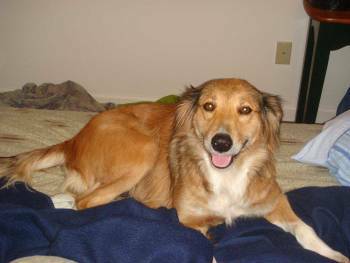 Hazel lives in Milledgeville with her owner Lindsay, who can be reached at lindsay_hyatt@ecats.gcsu.edu. 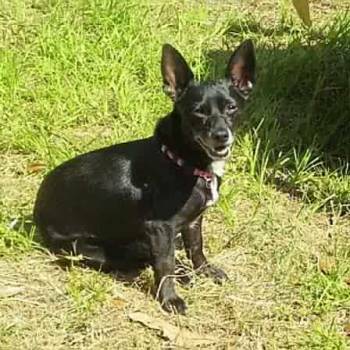 Emma is a Jack Russell Terrier/Chihuahua mix. She is about 5 yrs old and was found as a stray. She is up to date on shots, spayed, microchipped, and weighs 15 pounds. She has lots of energy & loves to snuggle! She likes other dogs, especially dogs bigger than her. She would do best in a home without small children. Emma is house trained and crate trained. She is a digger and an excellent escape artist! She is afraid of heavy rainstorms. Anyone interested can call Tracy Erwin at: home (912) 897-3236, work (912) 652-7438, cell (912) 604-4518.